After a rollercoaster year at the plate, Ian Desmond refused the Ranger’s one-year, $17.2 million qualifying offer. Desmond, 31, had a productive season batting .286/.335/.446 and posted 22 home runs, 21 stolen bases, 86 RBI, 107 runs scored and solid defense in center field for 156 games in 2016. The former shortstop, who is now marketing himself as an outfielder as well, signed a pillow contract ($8 million) in late February with the Texas Rangers. It’s not what he had hoped for at the beginning of free agency, but it may have been a blessing in disguise. Ian Desmond showed considerable growth at the plate from 2015-16, granted he faded in the second half of the year to an anemic clip (.322 vs. 237). Desmond wasn’t an above-average defender in center field, but it was his first MLB season at the position so I expect to see improvement in that department. Those factors — coupled with poor performance in the American League Division Series (.214/.214/.286) — made the Rangers a little hesitant to commit big money long-term for Desmond. Still, Desmond was another one of those special signings under the Jon Daniels era, that for at least through the All-Star game, was a top-of-the order bat and a great clubhouse veteran. A castoff shortstop from the NL switched positions and was an All-Star. 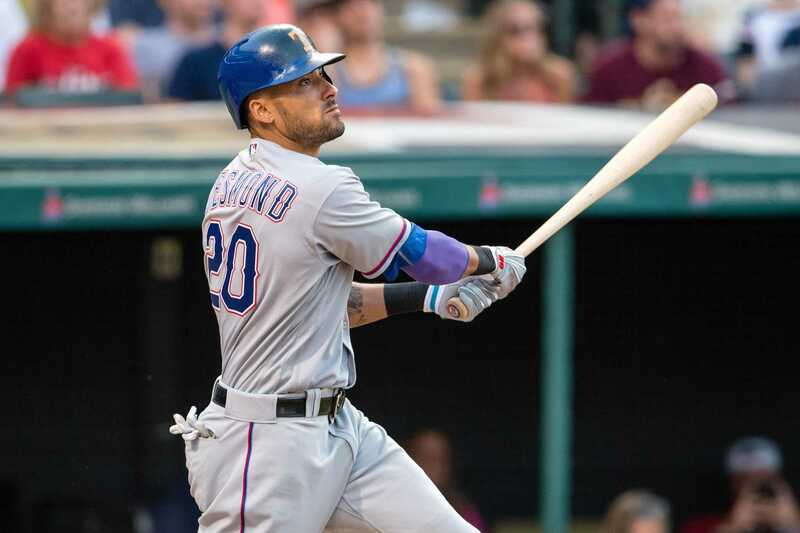 His time as a Texas Ranger is most likely over, though neither Desmond or the club have said that a reunion is out of the realm of possibility. The Rangers have a big decision to make at CF with Ian Desmond and Carlos Gomez, who they may also lose in free agency. The Rangers do recoup a compensatory pick if/when Desmond signs with another team, and please give JD and this front office as many picks as they want. Let’s also remember that it’s not always the biggest free agency singing or first round draft pick that ends up making a huge impact on a winning ball club.